The company Modelo Ingeniería Acústica and Audiovisual was responsible for recording sound pressure levels concerts to control the noise impact of the Festival, which was held with the limiter CESVA LRF-04. A high performance limiter, especially suitable for live performances and check the maximum sound level without exceeding the maximum permitted levels according to the ordinance on noise of the city of Barcelona. 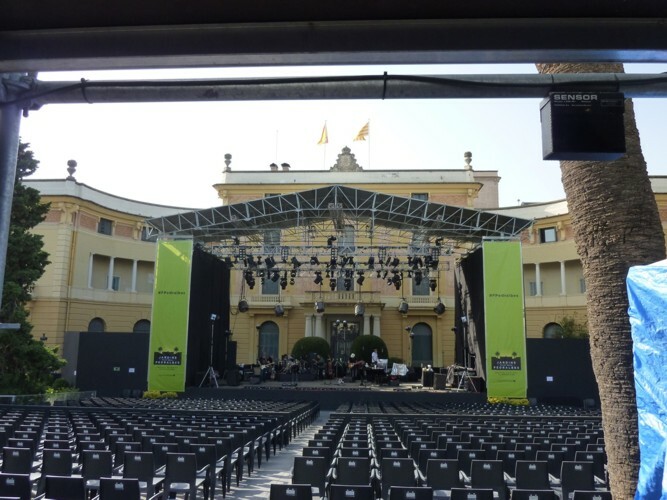 The festival featured a performance by renowned artists such as Spandau Ballet, Jessie J., Ana Belen and Victor Manuel, Goran Bregovic, Orquesta Buena Vista Social Club, Sara Baras, Anastacia, Angus & Julia Stone and Miguel Poveda and Mika which closed the festival.